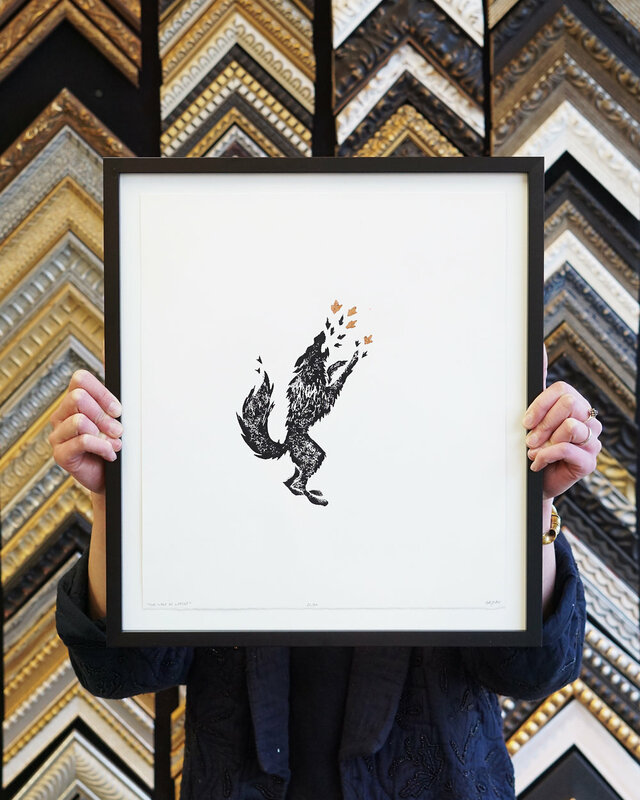 Browse our framed letterpress, antique and modern prints. Or purchase your own print or poster and choose from several walls of custom frames to give it your signature. Readymade picture frames are available in a varied selection of mouldings and colours. Choose from the following standard sizes (inches): 3 x 3, 4 x 6, 5 x 7, 8 x 10, 8.5 x 11, and 12 x 14. Inquire about our odd-sized readymades if you’re on the hunt for something out of the ordinary to complete your framing project. Visit often as the selection is always changing!